The global smartphone market shrunk by around 2% last year according to data gathered by Counterpoint Research. But as revealed in their latest report, the premium smartphone segment actually grew by a significant margin. Throughout the entire year, sales of smartphones valued at $400 or higher grew by a very respectable 18%. This growth was driven primarily by Apple and Samsung who, when combined, accounted for a whopping 73% of all sales. Huawei also experienced strong year-on-year growth of 97% in the segment thanks to the P20 & Mate 20 lineups, both of which helped push the company’s share to 10%. If we divide the premium segment up into a few, the biggest volume of sales came from devices priced between $400 and $600. Apple continued to lead this segment throughout 2018 but it was actually OnePlus who saw the biggest growth, most of which comes down to its popularity in the Indian segment. Its recent partnership with T-Mobile in the US also appears to have played a part. Looking at the ultra-premium segment which includes smartphones price at $800 or above, Apple was the clear leader here. In fact, it accounted for a whopping 80% of sales. 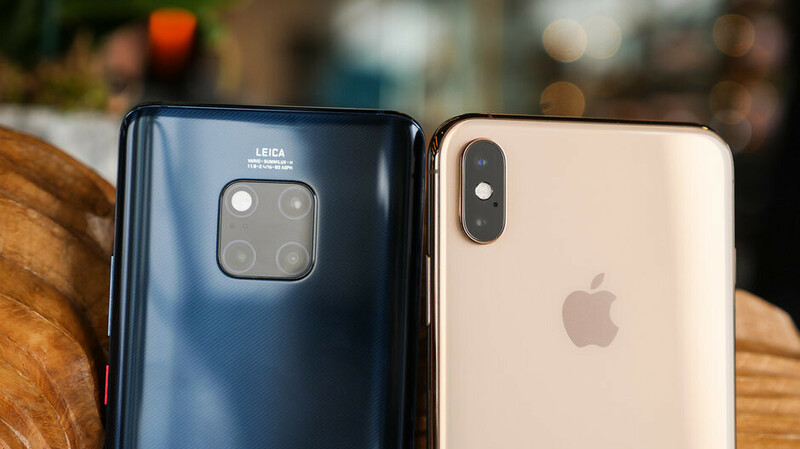 The market share of Samsung and Huawei in the segment wasn’t specified but the overall popularity of these devices continues to grow. When the segment was first created in September 2017, these devices accounted for just 8% of all premium devices sold. 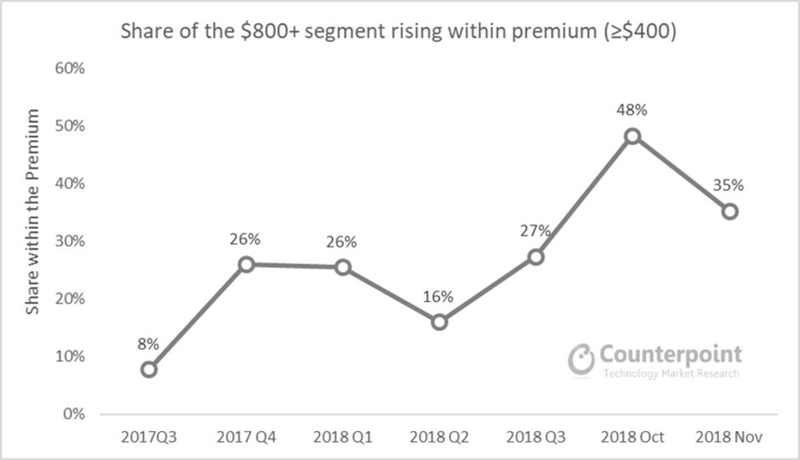 But during October 2018 ultra-premium devices reached a new peak share of 48%. 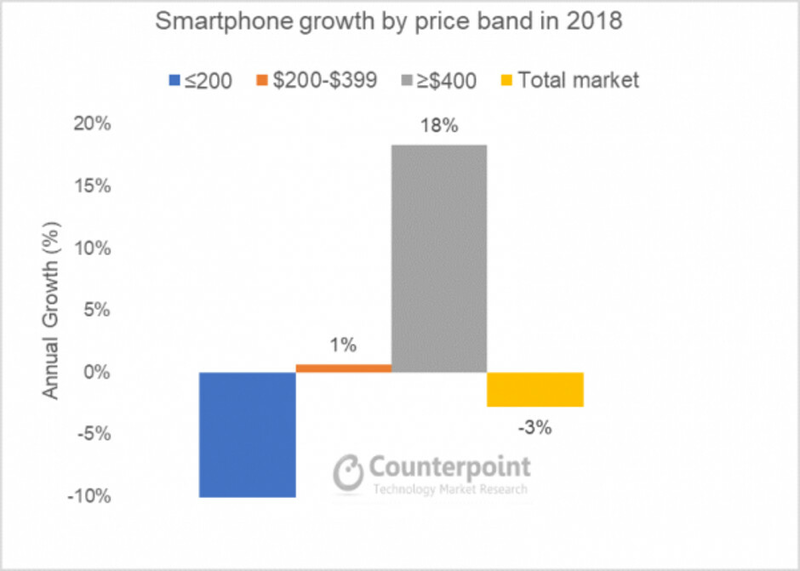 According to Counterpoint Research, this growth in the ultra-premium segment will continue throughout the foreseeable future thanks to the release of 5G devices and foldable alternatives. And while consumers appear willing to spend more money on devices, data suggests each user is holding on to their devices for longer. Exactly. "biggest volume of sales came from devices priced between $400 and $600". Huawei and Samsung have phone in these price range, Apple Doesn't. Don't care, I'm not a shareholder.